Grilling is the way to go for entertaining. Season your dishes ahead of time and have everything ready to go on the grill for when your ready to eat. 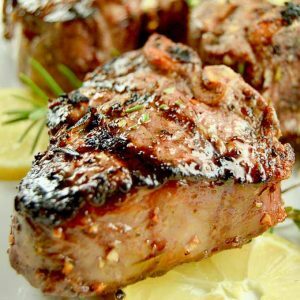 I love recipes like this that are easy to entertain without stress like my Grilled Steak with Bourbon Butter, Coconut Chicken on Skewers and Honey Mustard Pork Chops. 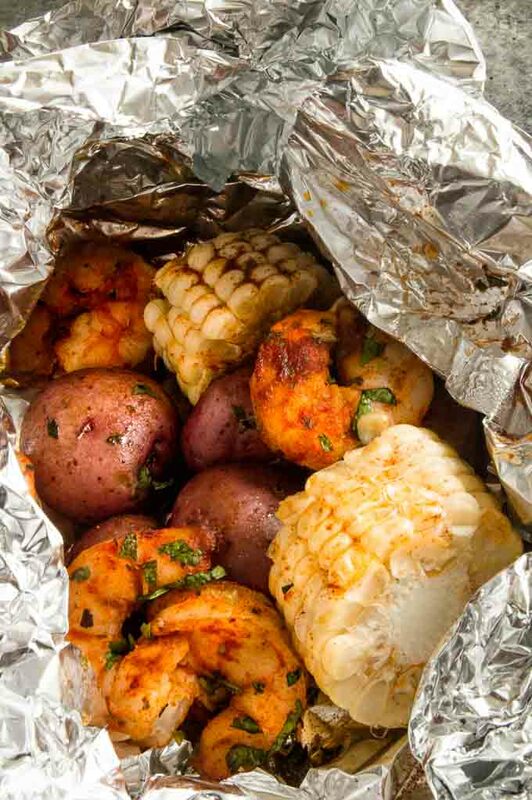 But if you want to cook the whole meal you can also do this easy Grilled Cajun Shrimp Foil Packets recipe. 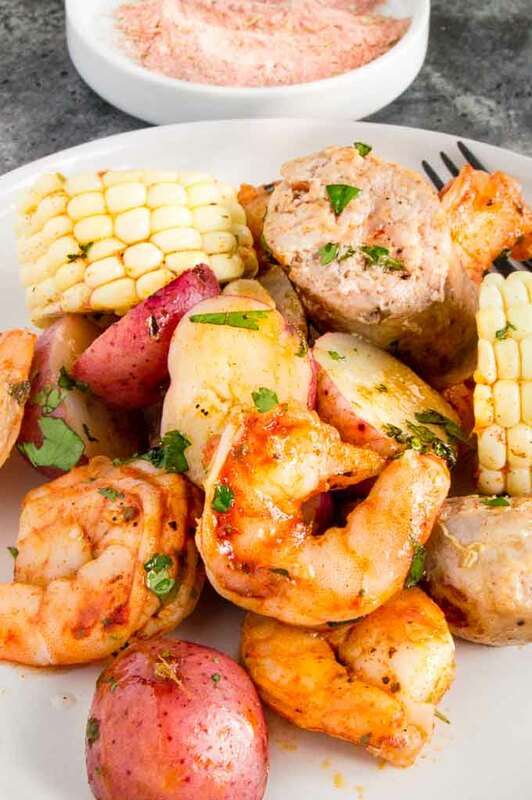 This recipe is a twist on Cajun Shrimp Boil recipe. It’s common in the south to have a bbq and serve a shrimp boil. 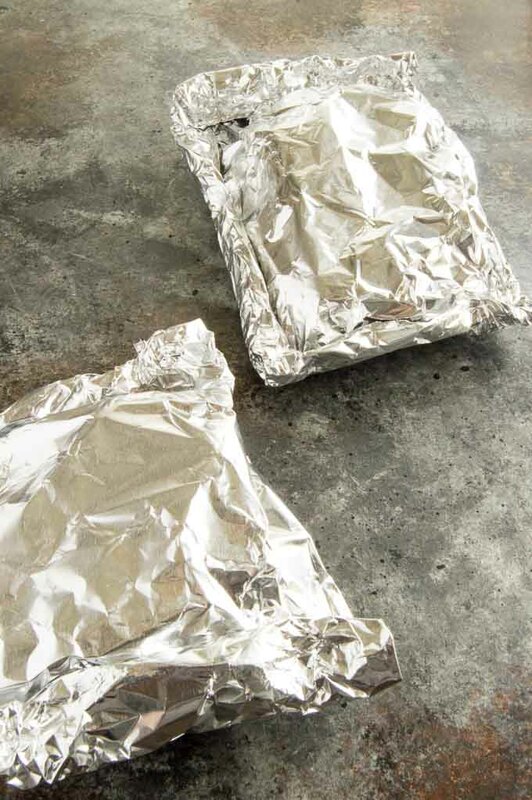 When the weather gets hot the last thing I want to do is boil water so I make these make ahead foil packets to grill for all the juicy flavors with out heating up my kitchen in the heat! Before I share the twist of a shrimp boil I should probably share more about the history of an authentic Cajun Shrimp boil first! 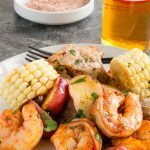 What is a Cajun Shrimp Boil? 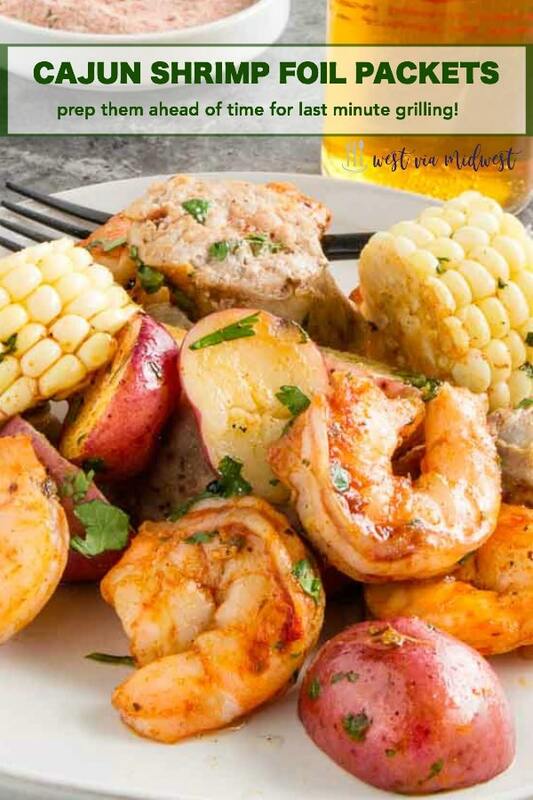 A shrimp boil is an easy meal to use to entertain…. you boil all of the ingredients in a cajun spice flavored broth then when its all done, you scoop out all the delicious creole cajun flavored shrimp, crawfish, potatoes and corn and throw it on to newspaper covered tables. Nothing fancy but good eating. The best part? The clean-up is literally just using the newspapers to roll up all the remnants and tossing it in the trash! What ingredients are in a shrimp foil packet? PRO TIME SAVING TIP: Buy shrimp that is already cleaned to save additional time. In this photo you can see how the shells are still on, but they have been cleaned. I find shrimp goes on sale a lot and many times its already been cleaned. Cleaning is easy to do, but it does take time and when I want a short cut in cooking this is an easy one that doesn’t compromise in taste at all! A few days ago I shared the recipe for homemade cajun seasoning that is perfect for use in shrimp boils. 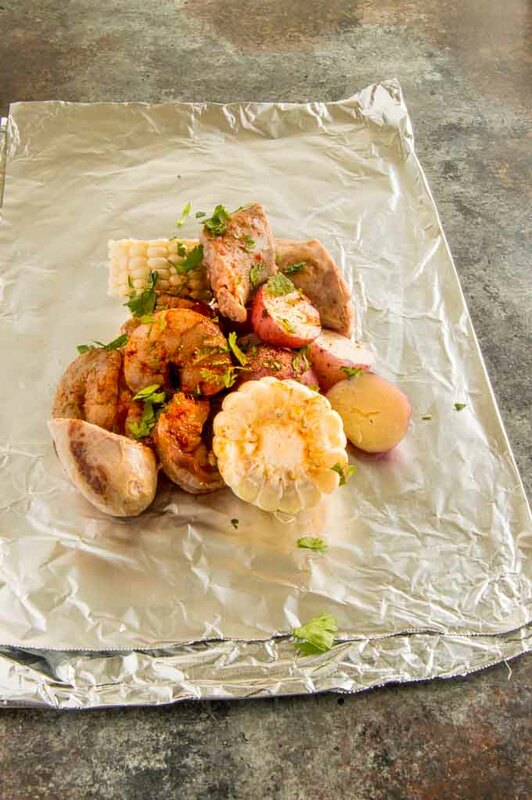 It also works really well to season this easy make ahead Cajun Grilled Shimp Foil Packet. Its got the garlic, onion, paprika, thyme, oregano and for some added heat it has cayenne pepper in it. You’ll use the Creole/Cajun Seasonings in a couple of ways in this recipe. Peel/clean the shrimp and then use some of the seasoning to marinate the shrimp. 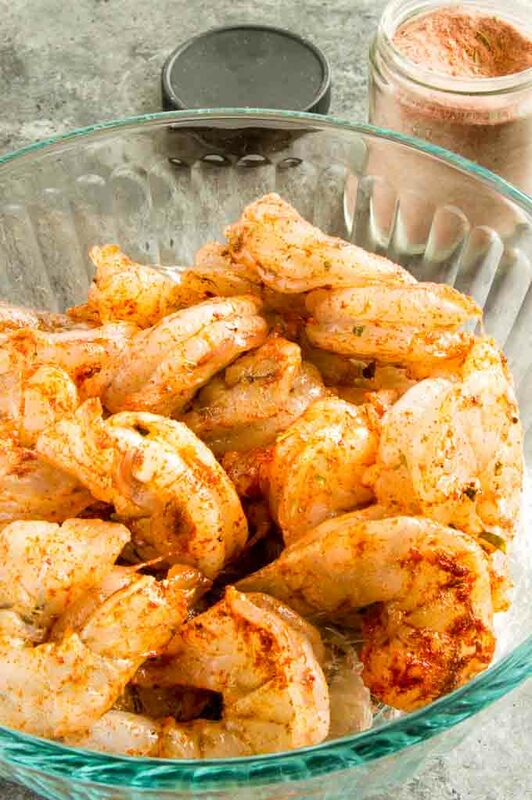 Don’t worry you’ll use more seasoning for the rest of the ingredients too, but by marinating the shrimp you’ll get the cajun flavor in every nook and cranny of each shrimp for great flavor in each bite. 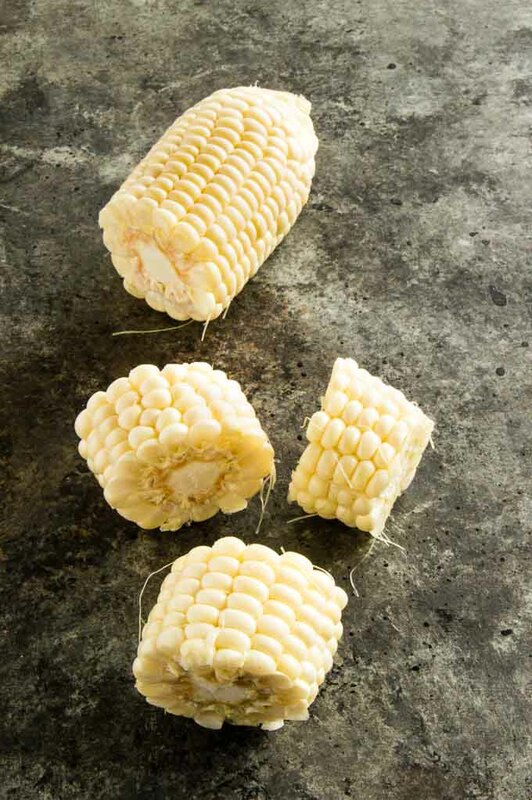 After that you will want to cut the corn into small manageable pieces. This helps in two ways in the dish. 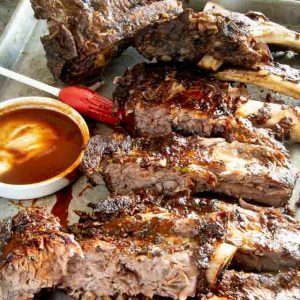 It allows for quick cooking on the grill (quick 20 minute meal for the win!) It also gives small bite sized portions when eating. You’ll want to use very small potatoes for this recipe. I highly recommend using small red potatoes if you don’t want to cook your potatoes ahead of time before placing them into the foil packet. If your red potatoes are a little large you can cut them in quarters or halves for the packet. I tried this recipe with russet potatoes, Yukon gold potatoes and even teeny tiny bite sized potatoes. All of them were still kind of hard when they came off of the grill. The red potatoes have just the right amount of starch in them to be able to only cook them in the packet. TIP FOR SUBBING POTATOES: Sometimes you cant find the right potato or you don’t want to go to the store because you have baby fingerlings or russets available instead. No problem, you can pre-cook them either by parboiling them or doing a quick 4-5 minutes microwave cook on them before you put them in the foil packet. How do you grill shrimp? Creating a simple foil packet is the easiest way ever. You’ll want to be sure and use heavy duty foil or use a double layer of the regular foil. Place all of the shrimp foil packets into the center of the foil. Add the peeled shrimp, corn wheels, red potatoes, cajun seasoning and a little bit of butter or olive oil then seal the packet. Once your grill is hot you’ll place the packets on and grill for 12-15 minutes flipping the packet one time. At 12 minutes I carefully open one packet being mindful of the steam that will pour out once its opened. I test one potato and look to make sure the shrimp is done. 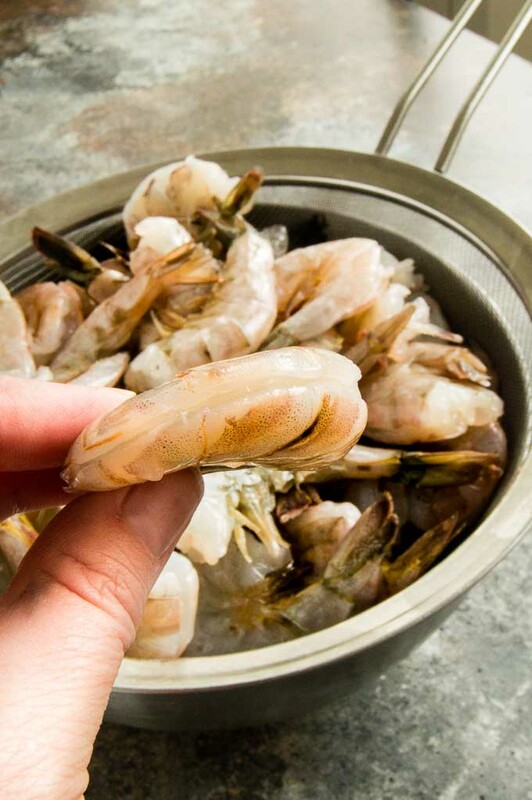 OVEN ALTERNATIVE: Preheat oven to 425° and cook for 18-20 minutes until shrimp is cooked thru and solid in color. You can open the packet and serve them right in the foil packet or remove them from the packet and serve it on a plate! No matter what way you eat it know the shrimp will be succulent and the corn will be cooked perfectly coated with the spicy cajun spices! 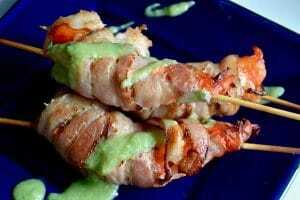 Cajun Grilled Shrimp Foil Packet Recipe to your GRILLING BOARD on Pinterest! 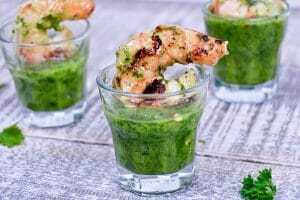 OTHER FLAVORFUL SHRIMP RECIPES YOU MIGHT ENJOY! This Cajun Grilled Shrimp Foil Packet can be made ahead ready to grill when you're ready to eat. 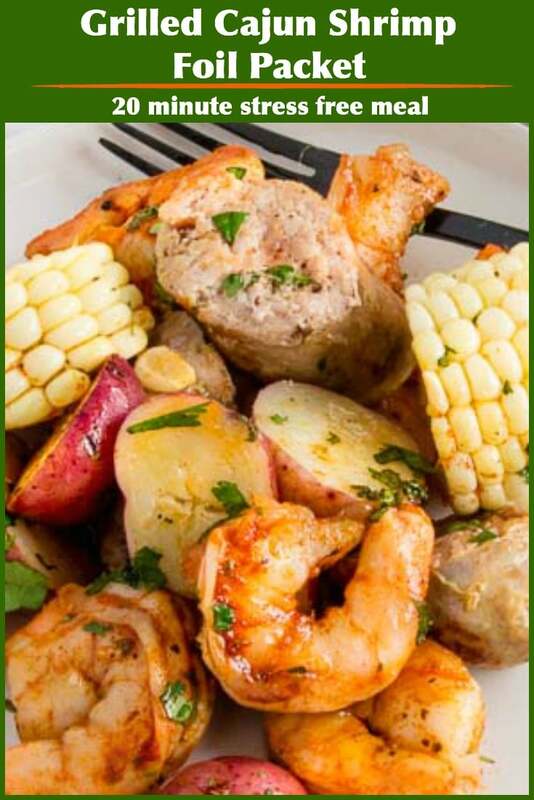 Easily customizable, full of delicious cajun/creole flavors. Peel and devein shrimp. Rinse, then pat dry. Place in a bowl. Add 1 tablespoon olive oil and 2 tablespoons cajun seasoning spice to shrimp. Stir to coat evenly. Set aside. Peel husks and clean off silks from corn. Rinse. Then cut into 1" pinwheels. If you buy raw sausage, cook until done. Cut sausage into 2 inch pieces. See notes for pre-cooking potatoes if you dont use red potatoes. Cut potatoes in half if they are large. Onto a large sheet of foil place the 1/4 of each: marinated shrimp, corn, potatoes and sausage. Sprinkle 1/2 tablespoon cajun seasoning mix and 1 tablespoon butter or olive oil over the top. Seal foil package on all sides. ENTERTAINING TIP: You can make the packets up to this point up to 24 hours ahead. Store them in the refrigerator until you are ready to cook them. Pull them out 30 minutes before you turn on the grill. Place packets on grill and cook with grill closed for 12-15 minutes. Flipping one time. Test packet at 12 minutes, carefully avoiding steam that will come out when you open it. 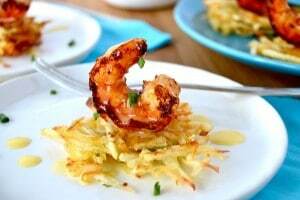 Potatoes should be tender and the shrimp a solid color. See recipe notes for oven cooking instructions. TIP FOR SUBBING POTATOES: Sometimes you cant find the right potato or you don't want to go to the store because you have baby fingerlings or russets available instead. No problem, you can pre-cook them either by parboiling them or doing a quick 4-5 minutes microwave cook on them before you put them in the foil packet. 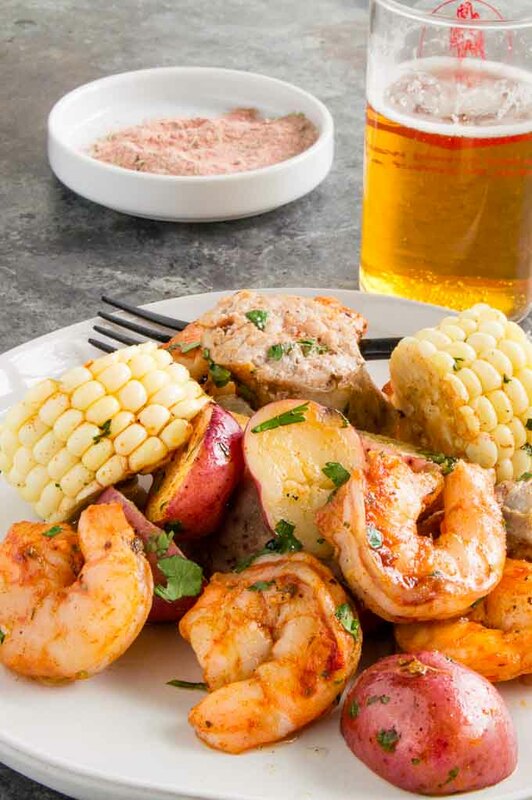 A crab/shrimp boil is always a great idea because of all the spicy flavors and easy clean up. These packets embody all these qualities and focus on shrimp only!! LOVE!! ALL of that yumminess and easy clean up, too!?!? Count me in!! 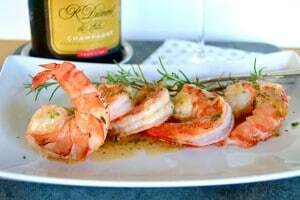 This shrimp broil will be a family favorite for us, I am sure! I’ve always wanted to try cooking meals in foil and think it’s a great summer meal to entertain with. We love cajun and so do my friends, so this will be perfect for the bbq I’m hosting. Thanks for directions for the oven too. I can see making this all year long! What a wonderful and delicious meal. I will be making this this weekend. So easy for entertaining and not a lot of cleaning to do. I love the fact that it can be made in the oven or on the grill. Huge plus! Also, thank you for the tip for microwaving potatoes. Mine always end up dry. Now I know how to cook them in the microwave with great results. 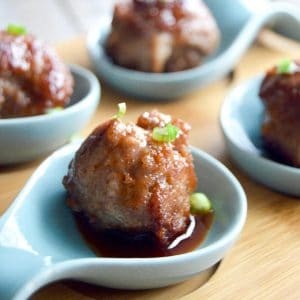 Great for entertaining! I love that you can make individual serving sizes for large groups or small. The cajun seasoning sounds terrific, I’ll start by making it and we’ll be tossing these foil packets on the grill. thank you for another delicious recipe! Yes! It cuts on the cooking time to cook for individual portions … especially with the shrimp in this packet it helps so the shrimp isnt over cooked! This looks ridiculously easy and delicious to boot! I love the idea of taking this classic gumbo combination and taking it outdoors to the grill. What an awesome idea and we’re happy to add this to our Crazy for Cajun Mix collection! I love making foil packets for easy clean up and quick weeknight meals. This one was amazing! 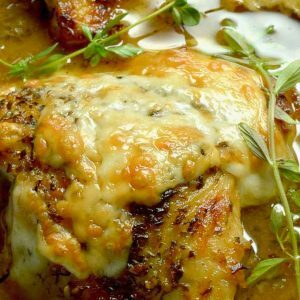 So flavorful and easy! This is the perfect dish for summer! So flavorful and delish!